Wayne Pinnock of Kingston College competes in the Boys' Under 20 long jump final at the Digicel Grand Prix Finale - G C Foster Classic - at the National Stadium on Saturday. Pinnock won the event in a new meet record. (PHOTO: Marlon Reid). 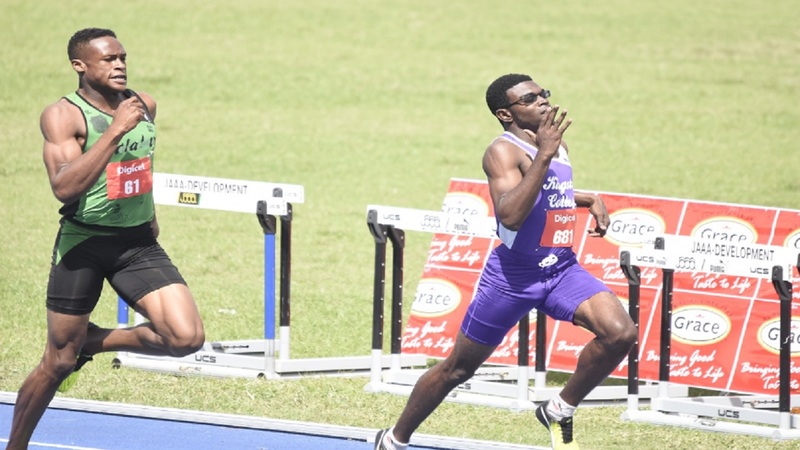 Wayne Pinnock of Kingston College (KC) turned in a big effort to erase the Boys' Under 20 long jump championship record at the Digicel Grand Prix Finale - G C Foster Classic - at the National Stadium on Saturday. Pinnock, a first year Class 1 athlete, outclassed the field with a big effort of 7.99 metres, well ahead of the previous championship record of 7.79 seconds set by his teammate Carey McLeod. Pinnock's effort also erased the Champs record of 7.87 metres set by Vere Technical's Leon Gordon in 1993. 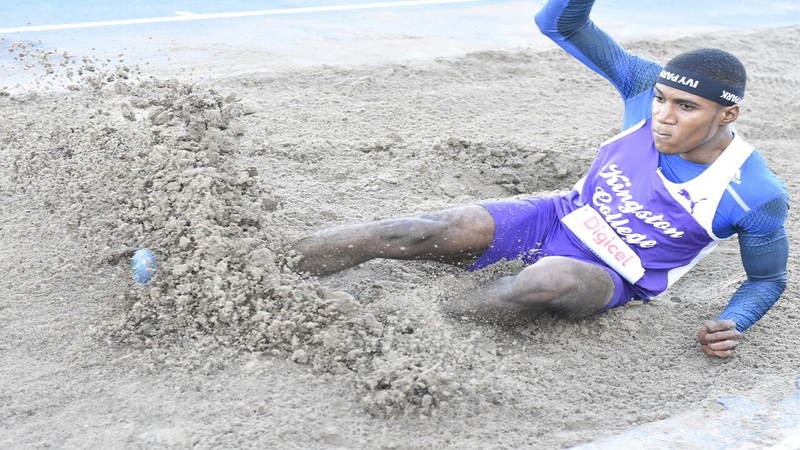 It was a one-two finish for KC as Shacquille Lowe cut the sand with a mark of 7.35 metres for second, with third going to Daniel Bogle of Wolmer's Boys with 7.25 metres. Calabar High had earlier had a one-two finish in the Boys' Under-17 long jump final. Lamar Reid leapt 7.33 metres to edge his teammate Jordan Turner (7.32 metres). St Jago's Kavion Kerr finished third with an effort of 7.19 metres. Meanwhile, after 11 finals scored in the boys' race, Calabar High (93 points) are leading KC (40.5 points) by 52.5 points. Defending champions St Jago High (35), Rhodes Hall (23) and Buff Bay (22) round off the top five. 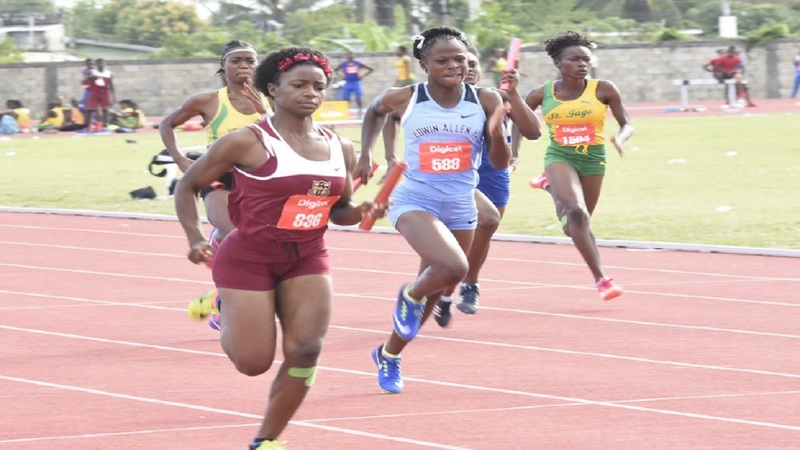 And after 11 finals in the girls' section, three-time defending champion Edwin Allen are leading with 82 points, 12 ahead of Holmwood Technical with 70. Hydel High (42.5), Excelsior High (35) and Wolmer's Girls (24) round off the top five. There are 10 Digicel Grand Prix events. Those events are the 100m, 200m, 400m, 800m, long jump, high jump, discus, 4x400m relay, medley relay and the 400m hurdles. At the end of the Grand Finale, the winning teams (boys and girls) will be rewarded with the title of Digicel Grand Prix champion and $1 million each towards gym equipment or development of their school’s training facilities. There will also be an overall second and third place cash prizes of $500,000 and $200,000 respectively. 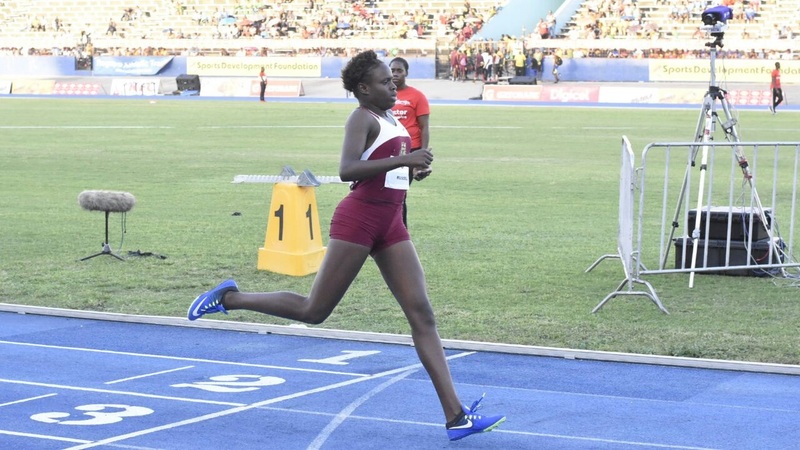 Digicel will pay $25,000 for each championship record and $50,000 for each national junior record.